Fish oils – or more accurately, the omega-3 long chain polyunsaturated fatty acids (n-3 PUFAs) in fish oils – have been linked to cognitive performance. The idea of cognitive lubrication has proved very popular. However, for some of us, the idea of choking down fish oil in its liquid form is repulsive. That’s where fish oil capsules come in. On the surface, they seem to be the perfect solution. The fish oil stays safely trapped in its hard shell until it passes down through the stomach and into the upper intestine. Once there, the capsule degrades to allow the fishy brain lube to be released. There is just one problem. New research led by Benjamin Albert at the University of Auckland in New Zealand shows that the quality of over-the-counter fish oil capsules is pretty rubbish. Albert and his team bought 32 different brands of fish oil capsules and measured them for levels of eicosapentaenoic acid (EPA) and docosahexaenoic acid (DHA), supposedly the “good” n-3 PUFAs responsible for brain gains. They found that 69% (29 out of 32 tested) had lower levels of EPA and DHA than was claimed on the label. As an interesting side note, the more expensive capsules were more accurately labelled for EPA and DHA levels. 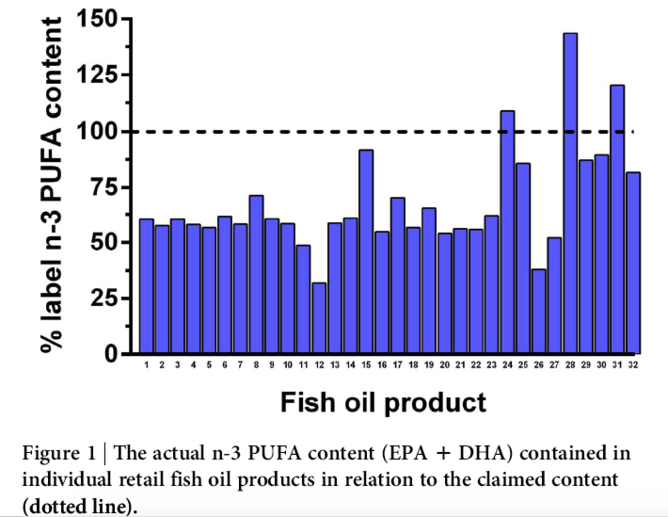 To achieve such lower than advertised levels of EPA and DHA, either the freshly isolated fish oil had lower concentrations to begin with, or the oil within the capsule had oxidised and degraded over time. Both EPA and DHA are prone to oxidation, and break down to form a soup of peroxides, aldehydes and ketones. 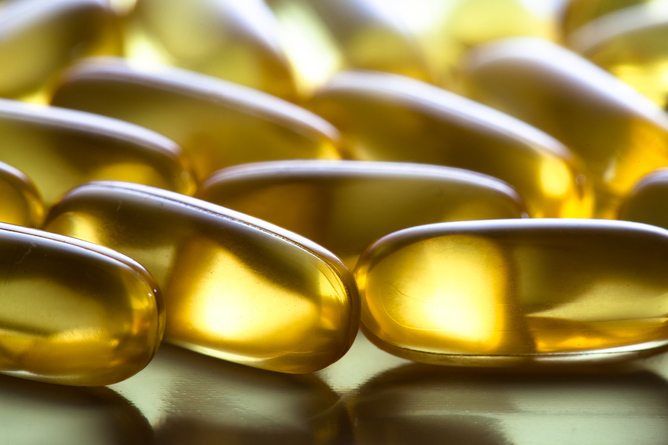 In fact, fish oil supplement manufacturers typically add anti-oxidants into their capsules to slow this process. What might such oxidation values mean for the consumer? While some studies indicate that oxidation breakdown products may in fact be responsible for the anti-inflammatory benefits of fish oil, at high experimental doses, they can cause organ toxicity, stunted growth and accelerated atherosclerosis. The overall effect on health – if any – of consuming products with high oxidation values is still unclear. Since there is no formal assessment of their health effects, oxidation levels in fish oil capsules are subject to recommendations based on palatability rather than legal requirements based on safety. If this research is representative of the global market, consumers have a one in ten chance of buying fish oil capsules that contain the levels of EPA and DHA that are promised. These odds might improve a little if they stick to high-end brands. Until better standards and regulations hit the fish oil supplement market, it is probably a good idea to look for your brain boost elsewhere.